Portsmouth's newest Type 45 destroyer is ready to deploy after testing out her missile system. 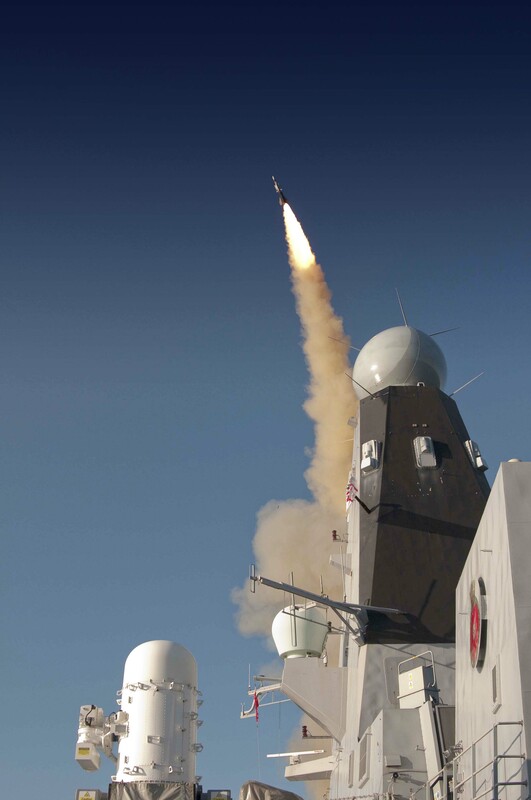 For the first time HMS Defender has fired her Sea Viper missile - the Royal Navy's principal shield against air attack. Seconds after bursting free from its silo, the 310kg (683lb) missile was hurtling through the Atlantic skies at nearly four times the speed of sound. Its prey was a Mirach - an unarmed 13ft remote-controlled jet which flies at speeds of up to of 530kts (more than 600mph) from altitudes as low as 10ft or as high as 40,000ft. It was smashed clean out of the sky by Sea Viper, proving the Portsmouth-based warship's ability to live up to her name and defend the Fleet. "This is the highlight of my Naval career and the culmination of months of hard work for my section. It has been really pleasing to put years of training into action." No Type 45 destroyer can deploy on operations around the world without proving its main weapon. HMS Daring, Dauntless, Diamond and Dragon have all successfully downed targets before Defender headed to the same Atlantic exercise areas to do the same - the final act in two years of intensive training by the 190-strong ship's company. "HMS Defender has today proven her worth as the Royal Navy's ultimate air defender. "I am extremely proud of my ship's company who have worked tirelessly to make this firing a success. "We now look forward to our first operational deployment, defending the UK's interests wherever tasked around the world." The Sea Viper system is a quantum leap forward from the Sea Dart missile on the now-decommissioned class of Type 42 destroyers Defender and her sisters have replaced. The Sampson radar system on top of the ship's main mast can track hundreds of contacts in the skies up to 250 miles away. And the Sea Viper itself can intercept incoming targets at ranges up to 20 and 75 miles depending on which version is used, manoeuvring for the kill at G Forces no human could endure. The combination of the radar and missile mean Defender can engage a large number of targets simultaneously - and defend aircraft carriers or task groups - against current and future threats from the air. HMS Defender is now returning to Portsmouth to undertake a short period of maintenance and some well-earned leave for her sailors, before departing the UK on her first operational deployment. The sixth and final Type 45 destroyer, HMS Duncan, is undergoing training ahead of her first Sea Viper firing and maiden deployment.